Creativation is past, Stamp Escape, here we come! You may have caught my blurb about our time at Creativation 2018. In case you missed it, to say the least it was a whirlwind. Our flight left late as the runway at Phoenix is being redone and we had to wait for a landing slot. Our taxi driver was a crazy man who we thought would get us killed. There was a sign on the dash that said "Clean-up $150". I was pretty sure that since I was feeling a bit carsick in the back seat that I could have made sure he was the one who needed cleaning up! After arriving at almost midnight, and getting up bright and early the next morning, we grabbed a bagel and were off....... Every year we attempt a methodical, up one aisle and down the next routine, but it is not as easy as it might seem. I am pretty sure some diabolical person is watching and laughing as we navigate the maze. We don't think the show is as well attended since it has been in Phoenix, so we were able to get in most booths without pushing and shoving. Maybe that is why I wrote more orders that usual at the show. 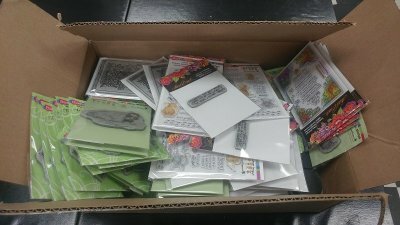 Surprisingly, we have already received orders from Crafters Companion (Gemini Jr's and some dies), Stampendous, and Hero Arts. We have more coming from all three of these companies, but it was nice that they shipped what was available. We ordered from Graphic 45, Authentique, Spellbinders, Lawn Fawn, Foundations Decor, Penny Black, Tonic, and Doodlebug. We are working on orders with Altenew, Art Impressions, Impression Obsession, Pink Fresh Studio, and more. We are waiting on some catalogs from companies like Avery Elle, Pebbles, and others. 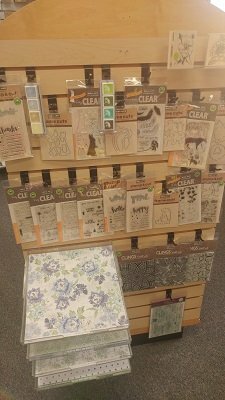 HERO ARTS with KAISER CRAFT GEMINI JR's CATALOGS for you to peruse! As always, we have catalogs available for you to look at and appreciate your input. We went to the show with a mission. Not only were we looking for the newest and greatest products, but we went with classes in mind. We have great class ideas for dates all the way through May! And speaking of classes, as you may know, Jennifer Dove is teaching at Stamp Escape again this year. She will actually be here for the entire week before and after the event. We have scheduled two classes on Tuesday, April 24th. The first class will be a Copic Shading and Blending class from 9:30-12:30, and the second class will be a Copic Fur Three Ways class from 1:30-4:30. Each class will be $28 (payable in advance by check or cash to The Cat's Meow) and will include three pre-stamped cards that you will color in class. 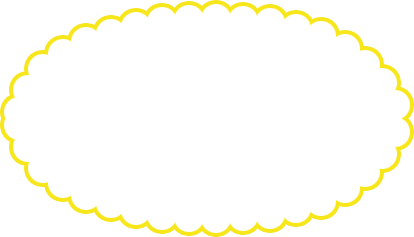 You will receive pre-cut materials to finish your cards at home. Jenn will also have a bonus card with a different image that you will be able to purchase for $7 cash at each class. We hope you will be able to take advantage of Jenn's talent as an artist and a teacher during these classes. We feel that those who will attend are already cardmakers and will not need instruction on assembling the cards. We want students to be able to learn as much Copic technique as possible so that will be the focus of these two classes. These classes will not duplicate the classes Jenn is teaching at Stamp Escape. We will have a list of Copic colors you will be using in class by the 1st of April, if not sooner. I have been keeping a list of those who saiid they were interested in attending these classes, but now I need official sign-ups. So please contact me by phone at 559-642-6611 or email at catsmeow@sti.net so we can secure your spot in class. For those of you who are attending Stamp Escape and have paid a deposit, your final payment is due March 1, 2018. I will be sending reminders to all who still have outstanding balances. For those who are on the waiting list, I will notify you if space opens up for you. Fill-ins will be contacted in the order they were put on the waiting list. We are looking forward to seeing everyone and were happy to be able to meet with our teachers at Creativation. They have great things planned for you! We hope you will stop by the store to see the new product as it arrives, and to look through the new catalogs. Even if we wrote an order at Creativation, there will be follow-up orders for all of the companies. Just spend a bit of time leafing through the catalogs and give us your list. We will be more than happy to order for you. We loved hearing from you on facebook while we were at the show. We appreciate our loyal customers who support us by shopping at the store. We know you have a lot of options and can easily shop online, but we hope you value the time and care we put into ordering special things for you as much as we value your support. As you can see above, there are boxes everywhere. I didn't even take photos of the rest of the Hero Arts that came in, or the Authentique Papers! We have so much ordered that will be received over the next two months. We tried to order plenty of the ever-favorite 6x6 pads when they were available with a collection. We still have some ordering to do from companies that we knew were not ready to ship. You still have time to come and look through catalogs before we write the final orders.